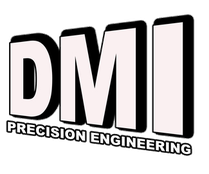 At DMI Precision Engineering we pride ourselves in getting the job correct first time, on time, all the time. We have put in place a number of check procedures throughout the production process that identify any unsuitable products at the earliest stage possible. We have a final high level inspection procedure once products have been completed where we comply to the highest of ISO 9001: 2008 standards before securely packaging for shipment. Our products are engraved and marked and tracked throughout the production and delivery process so that our customers know exactly what stage their products are at all the time. We offer a full traceability check right back to the purchase of material and keep records for over 6 years. As well as having all the usual gauges for inspection, DMI have invested in the state of the art Axiom Too CNC CMM machine. This machine is able to reverse engineer from customers drawings, taking in all the dimensions to computer and displaying tolerances that match our machined parts exactly. We are able to produce printed dimensional reports for customers parts in a number of ways proving exact dimensions have been met. DMI offer hardness testing post and pre machining. 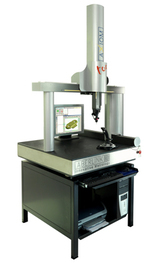 We have invested in a Rockwell type tester (600A/MA) offering accuracy, reliability and durability. It is important to test material both before and also manufacturing due to the changes that can occur after machining. 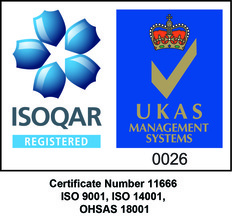 ISO 9001:2008, ISO 14001, OHSAS 18001.